Careers | North American Mechanical, Inc.
We are the premier mechanical contractor in Wisconsin, offering competitive salaries with an outstanding benefits package including health insurance, paid vacations and holidays, 401(k) and much more. Interested in joining our winning team? Click below to see our current opportunities. Our office is open Monday through Friday 8AM to 5PM, except holidays. We keep applications on active file for 30 days. After that date a new application will be required to be considered for employment. NAMI is an Equal Employment Opportunity / Affirmative Action Employer. 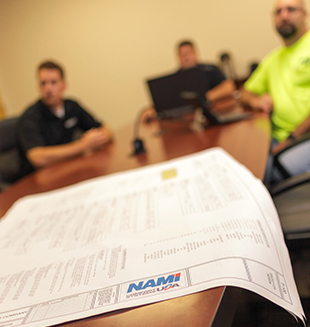 NAMI is a wholly owned subsidiary of Comfort Systems USA (CSUSA), a publicly owned, nationally recognized provider of mechanical systems and services. Inquire about job openings at CSUSA by clicking here.